Sheraton Dubai Creek Hotel & Towers - Dubai Hotel Located in Dubai City Centre, Dubai Shopping Area and Dubai Business District! Spread out in one of our 262 spacious guest rooms and suites, offering five-star comforts. Take in uninterrupted views of the Dubai Creek or the city. All of the rooms at the Sheraton Dubai Creek Hotel & Towers include LCD TVs with DVD players and satellite channels. Request a room on one of the Towers floors and enjoy 24-hour personalized butler service and exclusive benefits. 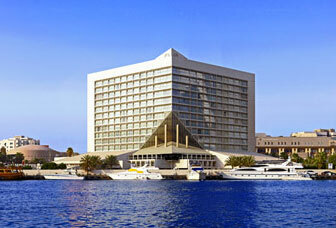 Enjoy a great stay at Sheraton Dubai Creek Hotel & Towers.